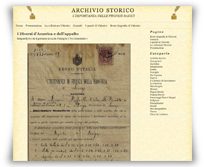 Finding Your Italian Ancestors is an online presentation/booklet that Pete found which describes the various records that people can use to research their Italian roots. It's from a web-based class that was sponsored by Ancestry.com. This 96 page PDF has lots of images and can be the perfect primer on the subject of Genealogical research. Use it as a guide or just browse it for ideas. 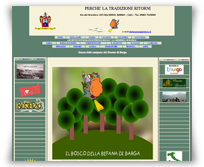 The Family Search (Church of Later Day Saints) website now has the civil records for the province of Lucca including Barga available. These records are sorted by comune and start in 1866 to the late 1920’s. They contain birth, marriage and death records. They are not indexed although some of the towns have ten year indexes. These records compliment what we have from the church records and can fill in missing information. The maxim "know thyself" was well known among the ancient Greeks and to this day people still recite those wise words – especially when searching online for "how-to-genealogy." That's the opening line on the website - "Genealogy - The Complete Research Guide" - a website we heard about from Debbie Reynolds - a teacher at the After School Center in the heart of Bernalillo County, New Mexico. 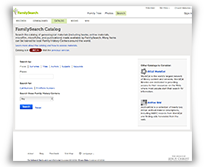 Debbie was preparing to start some students off on their own genealogical journey when she found our site and decided to trade resource for resource. The "Complete Guide" has an interesting twist - a section on "The Practical Importance of Genealogy". Thanks Debbie. One good turn deserves another. Recently we were contacted by Girl Scout Troop Leader Cindy Powell from California to express her troop's gratitude for the genealogy resources provided on our website. In exchange she also sent us one of the web pages they found useful in earning their "My Family Story" badges. While the page is titled "NYC Genealogy" many of the links reach into U.S. Federal Government sites (Dept. of Interior, Census Bureau, USA.gov, etc.) and some very robust research guidance. Our thanks to Cindy and her scouts for the link. We hope their interest in family history leads them on a lifelong adventure. The word gets around. We were contacted by Courtney, a volunteer tutor from After School Care Programs based in El Paso County, Colorado. Courtney wanted us to know that her small group of kids enjoyed the genealogy resources on our website and plan to refer to them in their own family tree projects. In the spirit of sharing they sent us a link to - "History at Home: A Guide to Genealogy". This will be of interest to our visitors and members. The page contains 30 links to articles that cover everything from the basics to some engaging side subjects. Thank you Courtney! Give a high-five to your students for studying genealogy. 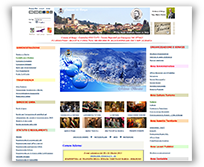 The Italian Anagrafe association has a website which has the civil records for birth, marriage and death from 1806 to 1866 for Lucca, Modena and Firenze. Barga was under Firenze. The neighboring towns were either under Lucca (south of Barga) or Modena (north of Barga). Lucca became part of the grand duchy of Tuscany in the 1840’s and is then in the Firenze records. Again the records are not indexed. The figurinai's emigration is in many ways unique. In its three-hundred-year span it scattered the inhabitants of a few villages to four continents thus keeping alive entire mountain communities in the Lucchesia. The itinerant nature of the figurinai's work as well as the practice of hiring young children drew the attention of the public wherever they went. Thus changing attitudes toward them reflect the evolution of public opinion and legislation to both itinerants and child labor. Their adaptation of a craft that had existed for centuries demonstrates their ingenuity, while the objects d'art and busts of culture heroes they sold help us understand the relationship between the artistic tastes of middle, upper and working classes, and give us some indication of the historical figures they considered important.